FRAMINGHAM – Framingham State University has again been recognized for its efforts to support diversity and inclusion on campus with a Higher Education Excellence in Diversity (HEED) Award. The award is given by INSIGHT into Diversity, the oldest and largest diversity magazine and website in higher education today. Framingham State will be featured along with 95 other recipients nationwide in the magazine’s November 2018 issue. This is the fourth time the University has been honored with the award since 2014, more than any other public University in Massachusetts. It also comes less than a year after Framingham State was the target of some incidents of racist graffiti within its residence halls. Framingham State’s diversity and inclusion efforts are led by the Office of Diversity, Inclusion and Community Engagement (DICE) under the direction of Millie Gonzalez. Recent achievements include the creation of the Mary Miles Bibb Teaching Fellowship program, designed to attract top quality faculty candidates. 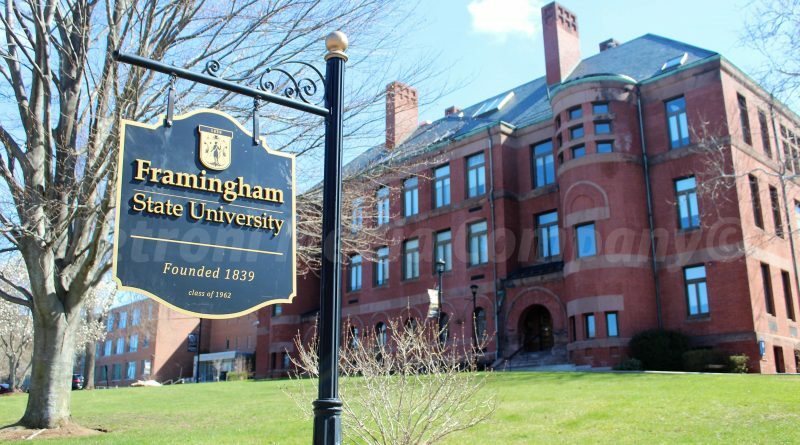 The Bibb fellowship is named after the first African-American teacher to graduate from Framingham State University. The Widening the Circle Faculty Institute was also created to assist with advancing Inclusive Excellence at Framingham State University through the focus area of Diversity in the Curriculum. At the student level, several clubs are designed to engage students in diversity issues, including the Black Student Union (BSU); Brother2Brother, which is a support group aimed at addressing the low retention rates among men of color in college; and M.I.S.S., which was established to support and inspire the educational, professional and social success of female students of color. Framingham State seeks to engage the entire campus in discussions around diversity and inclusion through its Olivia A. Davison Voices of Color Lecture Series; Diversity Dialogues; and its new Courageous Conversations about Race series. Empowerment; Faculty and Staff with Small Children; and LGBTQ Faculty and Staff. demonstrated a commitment to diversity and inclusion through the Beacon Award. The HEED award is the only national recognition honoring colleges and universities that exhibit outstanding efforts and success in the area of diversity and inclusion throughout their campuses. Framingham State University was founded in 1839 as the nation’s first public university for the education of teachers. Since that time, it has evolved into a vibrant, comprehensive liberal arts institution offering small, personalized classes on a beautiful New England campus. Today, the University enrolls more than 6,400 students with 53 undergraduate and graduate degree programs in arts, humanities, sciences, social sciences and professional fields. As a public university, Framingham State prides itself on quality academic programs, affordability, and commitment to access for all qualified students.